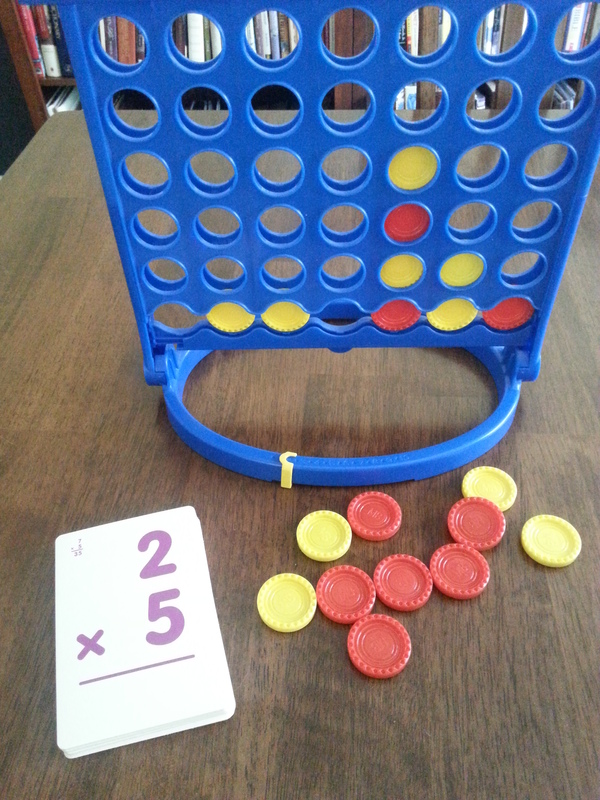 Here are some tips I have found helpful for teaching students multiplication facts. #1: Don’t try to learn them all at once. This can be very overwhelming to most students. Give them time to learn a little bit at a time so they can really master the facts. #2: Learn the Zero and Ones first … they are pretty easy. When you multiply a number by ZERO the product will be ZERO. When you multiply a number by ONE the number stays the SAME. Ex: 4 x 0 = 0, 6 x 0 = 0 , 6 x 1= 1 , 9 x 1 = 1. #4: Make your own color coded flash cards. Start small. Use index cards and a colorful marker to make flash cards just for the two’s. Practice 3-4 cards out loud at a time, over and over! Then practice 3 more, over and over. After a few days mix them all up and see if you can get them all correct. If not, practice the hard ones again. Color coding the cards helps students to memorize them. #5: Ready for the 10’s! Here is the “trick”. When you multiply a number by 10, you place a zero in the ones place. 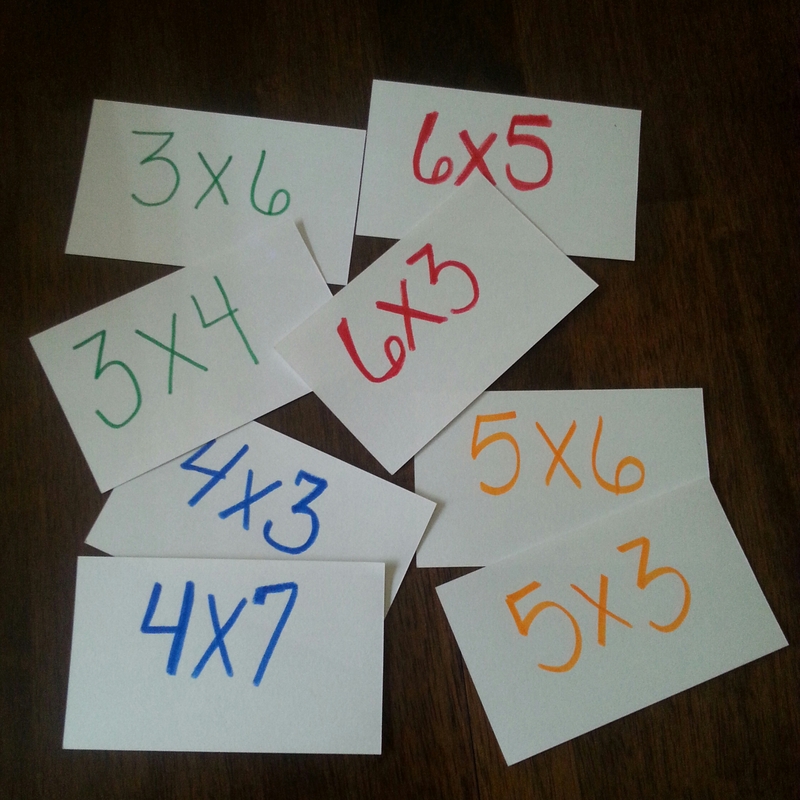 Ex: 4 x 10 = 40, 6 x 10 = 60, 9 x 10 = 90 Use a different colored marker from the twos and make x 10 cards to add to your flashcard collection. Practice the same as above. #6: Review. As you master new sets of facts, take time to review already learned facts. You want learn the new ones, but also practice the old ones so you don’t forget. #7: Time for some 11 facts! For the numbers 0-9, when you multiply by 11 , the number is in the ones and tens place. Ex: 4 x 11 = 44 , 7 x 11 = 77 and 9 x 11 = 99. Make sure to point out this only works for 0-9. As said above, make a few flash cards (with a different color), practice them, make a few more, practice them, and then add them to the old cards. #8: Point out the communicative property. Set the 2 x 10 card and the 10 x 2 card side by side. The communicative property of multiplication states that when you multiply two facts, the product is the same regardless of the order of the factors. So, if they know that 10 x 2 = 20 they also know that 2 x 10 = 20. This is important to point out, because as the students learn new groups of facts, they will already know some facts. For example, when they learn their 3s, they already know some of them: 3 x 0 = 0, 3x 1 = 3, 3 x 2 = 6, 3 x 10 = 30 and 3 x 11 = 33, so they don’t have as many to learn as they think. As they get farther in the facts, each group should have more and more facts they already know. #9: Learn 3-9 and 12 facts slowly. Once you have the facts above mastered or at least on the way to mastery, you are ready for multiplying by 3-9 and 12. For these facts I recommend the same tips above: learn a few at a time and add color coded flash cards as you go. Playing games makes math FUN! #10: Make it fun! Play a game! Do you have Connect Four? Candy Land? You can use the flash cards to play. Lay your flash cards in a stack. Take turns answering Facts. When you get a fact right, you get a turn on your game board. There are also iPad games and websites with games to practice facts.